I played a lot of Magic: The Gathering when it came out. 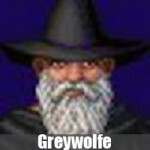 From 1994 onward, I attended weekly events, playtested in a group for competitions I would enter, played against the computer when the Microprose product came out and poured over lists of cards as they were released to find new strategies for old decks and to see if there were any interesting brand new plans I could utilize. Before that, I played a lot of Dungeons and Dragons. From 1985 until I lost my gaming group to the vagaries of time commitments [Exams, jobs, families and the like] I played the Red Box, made characters under the Second Edition rules, built up a campaign for friends that ended in hilarious disaster when someone lit a torch in an underground zone that was nothing but propane gas and tended my Beast in long-standing games of Vampire: The Masquerade. The point is, I really like board, card and role playing games.